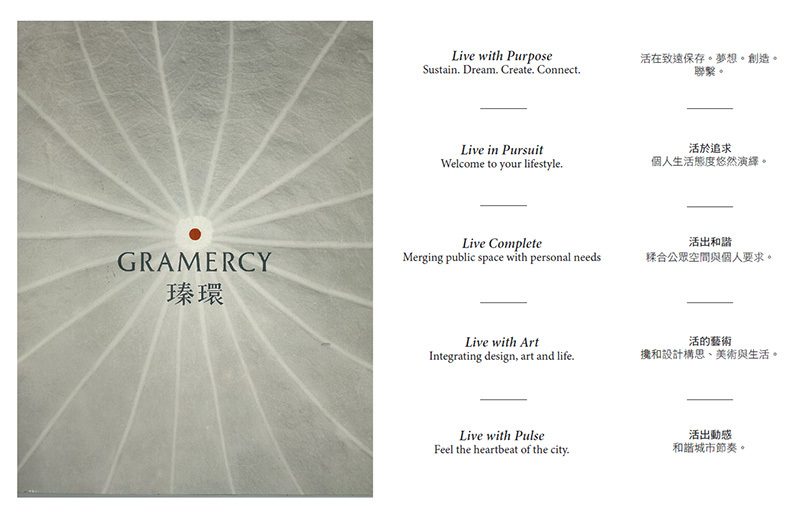 Gramercy is a luxury residential project developed by real estate firm Phoenix Property Investors. 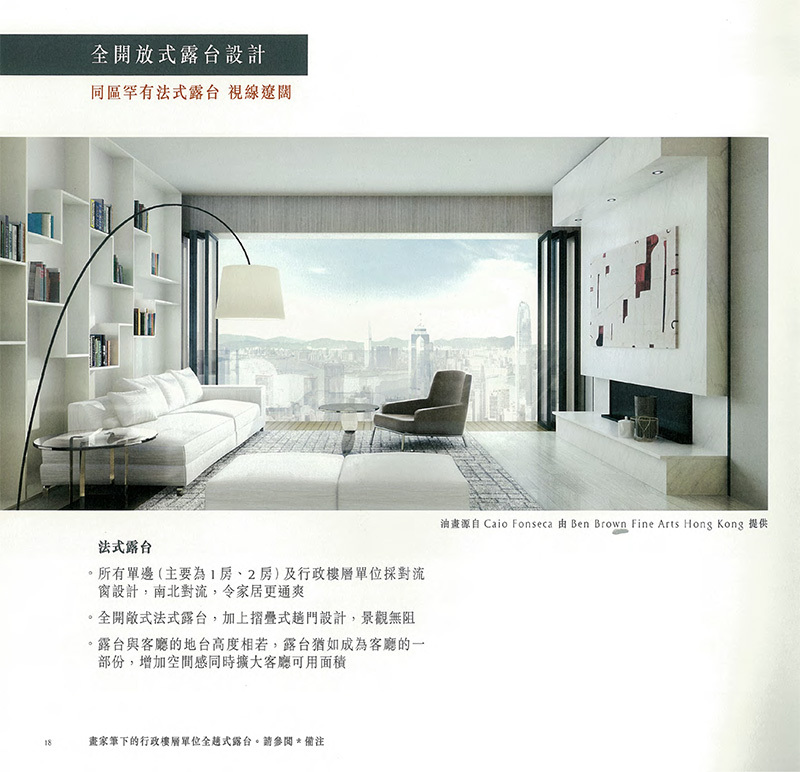 Working with Marc n Chantal Designs, Straight was charged with the brief of developing a Chinese name for the building and copies for both its retail and wholesale brochures. The call was to come up with a name that could translate the uniqueness of this unprecedentedly green, ultra-modern and completely bespoke hotel-like downtown residence. To capture this air of distinctiveness, Straight scoured a big of collection of little-used Chinese words, mixed and matched it with client-specified variables to create many original and poetic name options. In terms of copies, we avoided the highly polished, hard-sale tones typically employed in the scene and opted for a contemporary understated style infused with subtle wordings and simple proses.